Spread out along the North Loup River west of here, DeWitty, later known as Audacious, was the largest and longest-lasting African American settlement in rural Nebraska. The settlers, including former slaves who had fled to Canada before the Civil War and their descendants, began to arrive in 1906-07, attracted by the 1904 Kinkaid Act's offer of 640 acres of free land in the Sandhills.The settlement included a church, store, barber, post office, and baseball team, the North Loup Sluggers, which competed against teams from nearby communities. Three rural schools educated the children. On Independence Day, residents of DeWitty and nearby Brownlee would come together for a rodeo, baseball game, and picnic. The 1910 census recorded 82 black residents. The number of occupied African American homesteads peaked in 1914, although some settlers had already canceled or sold their claims and moved away. The black homesteaders, like their white counterparts, found 640 acres in this semi-arid region insufficient for ranching and marginal for farming. The last African American resident left the area in 1936. The last parcel still owned by DeWitty settler descendants was sold in 1993. 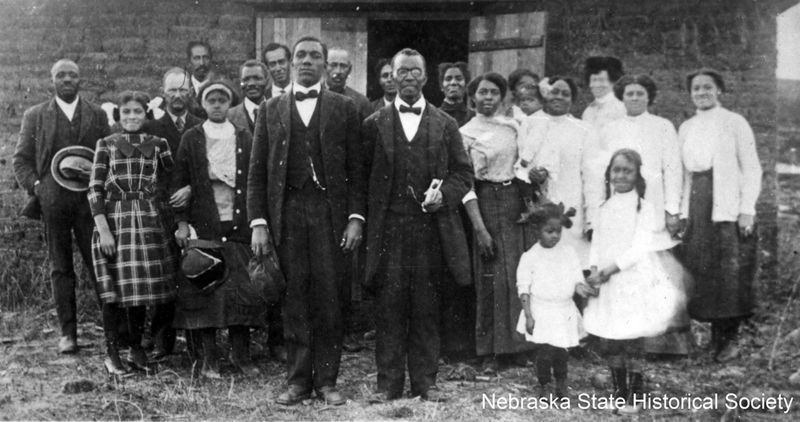 “DeWitty - An African American Settlement in the Sandhills,” Explore Nebraska History, accessed April 18, 2019, https://mynehistory.com/items/show/63.